What do we see as the principal expression of life in the beauty visible before us? It is movement. In line, in color, in the changes of the seasons, in the rising and falling of the waves, in the wind, in the storm, in all the beauty of nature there is constant movement. It is movement which has caused day and night, and the changing of the seasons; and this movement has given us the comprehension of what we call time. Otherwise there would be no time, for actually there is only eternity; and this teaches us that all we love and admire, observe and comprehend, is the life hidden behind it and this life is our being. It is owing to our limitation that we cannot see the whole being of God; but all that we love in color, line, form or personality belongs to the real beauty, the Beloved of all. And when we trace what attracts us in this beauty which we see in all forms, we shall find that it is the movement of beauty; in other words the music. All forms of nature, for instance the flowers, are perfectly formed and colored; the planets and stars, the earth, all give the idea of harmony, of music. The whole of nature is breathing; not only the living creatures but all nature; and it is only our tendency to compare that which seems living with what to us is not so living which makes us forget that all things and beings are living one perfect life. And the sign of life given by this living beauty is music. What makes the soul of the poet dance? Music. What makes the painter paint beautiful pictures, the musician sing beautiful songs? It is the inspiration that beauty gives. Therefore the Sufi has called this beauty Saqi, the divine Giver who gives the wine of life to all. What is the wine of the Sufi? Beauty in form, in line, in color, in imagination, in sentiment, in manner; in all this he sees the one beauty. All these different forms are part of the spirit of beauty which is the life behind them, a continual blessing. Music inspires not only the soul of the great musician, but every infant which, the instant it comes into the world, begins to move its little arms and legs with the rhythm of music. Therefore it is no exaggeration to say that music is the language of beauty; of The One every living soul has loved. And when one realizes this and recognizes the perfection of all beauty as God, our Beloved, one understands why the music we experience in art and in the whole universe should be called the Divine Art. Many in the world take music as a source of amusement, a pastime, and to many music is an art and a musician an entertainer. Yet no one has lived in this world and has thought and felt, who has not considered music as the most sacred of all arts, for the fact is that what the art of painting cannot clearly suggest, poetry explains in words; but that which even a poet finds difficult to express in poetry is expressed in music. By this I do not only say that music is superior to art and poetry, but in point of fact music excels religion; for music raises the soul of man even higher than the so-called external forms of religion. By this it must not be understood that music can take the place of religion; for every soul is not necessarily tuned to that pitch where it can really benefit by music, nor is every music necessarily so high that it will exalt a person who hears it more than religion will do. 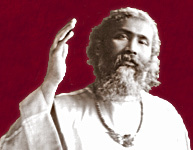 However, for those who follow the path of the inner cult, music is essential for their spiritual development. The reason is that the soul who is seeking for that is in search of the formless God. Art no doubt is most elevating, but at the same time it contains form; poetry has words, names suggestive of form; it is only music which has beauty, power, charm and at the same time can raise the soul beyond form. That is why in ancient times the greatest of the prophets were great musicians. For instance, among the Hindu prophets one finds Narada, the prophet who was a musician at the same time, and Shiva, a God-like prophet, who was the inventor of the sacred Vina. Krishna is always pictured with a flute. There is also a well-known legend of the life of Moses, which says that Moses heard a divine command on Mount Sinai in the words: Muse Ke, Moses hark; and the revelation that thus came to him was of tone and rhythm, and he called it by the same name, Musik; and the words such as Music and Musike have come from that word. David's song and verse have been known for ages; his message was given in the form of music. Orpheus of the Greek legends, the knower of the mystery of tone and rhythm, had by this knowledge power over the hidden forces of nature. The Hindu goddess of beauty, of knowledge, whose name is Sarasvati, is always pictured with the Vina. And what does it suggest? It suggests that all harmony has its essence in music. And besides the natural charm music possesses, it has also a magic charm that can be experienced even now. It seems that the human race has lost a great deal of the ancient science of magic, but if there remains any magic it is music. Music, besides power, is intoxication. When it intoxicates those who hear, how much more must it intoxicate those who play or sing themselves! And how much more must it intoxicate those who have touched the perfection of music and have meditated upon it for years and years! It gives them an even greater joy and exaltation than a king feels sitting on his throne. According to the thinkers of the East there are five different intoxications: the intoxication of beauty, youth and strength; then the intoxication of wealth; the third is of power, command, the power of ruling; and there is the fourth intoxication, which is the intoxication of learning, of knowledge. But all these four intoxication's fade away just like stars before the sun in the presence of the intoxication of music. The reason is that it touches the deepest part of man's being. Music reaches farther than any other impression from the external world can reach. And the beauty of music is that it is both the source of creation and the means of absorbing it. In other words, by music the world was created, and by music it is withdrawn again into the source which has created it. In this scientific and material world we see a similar example. Before a machine or mechanism will run, it must first make a noise. It first becomes audible and then shows its life. We can see this in a ship, in an airplane, in an automobile. This idea belongs to the mysticism of sound. Before an infant is capable of admiring a color or form, it enjoys sound. If there is any art that can most please the aged it is music. If there is any art that can charge youth with life and enthusiasm, emotion and passion, it is music. If there is any art in which a person can fully express his feeling, his emotion, it is music. At the same time it is something that gives man that force and that power of activity which make the soldiers march with the beat of the drum and the sound of the trumpet. In the traditions of the past it was said that on the Last Day there will be the sound of trumpets before the end of the world comes. This shows that music is connected with the beginning of the creation, with its continuity, and with its end. The mystics of all ages have loved music most. In almost all the circles of the inner cult, in whatever part of the world, music seems to be the center of the cult or the ceremony. And those who attain to that perfect peace which is called Nirvana, or in the language of the Hindus Samadhi, do this more easily through music. Therefore Sufis, especially those of the Chishtiyya School of ancient times, have taken music as a source of their meditation; and by meditating thus they derive much more benefit from it than those who meditate without the help of music. The effect that they experience is the unfoldment of the soul, the opening of the intuitive faculties; and their heart, so to speak, opens to all the beauty which is within and without, uplifting them, and at the same time bringing them that perfection for which every soul yearns.